One of my first purchases of samples soaps was Barrister and Mann from the way of Maggards Shaving Supplies. Everyone was abuzz over them and I wanted to join in on the frenzy. This was a few years ago and I was able to order all of them at once to see what I liked. When they arrived I was taken back by some of the scents and I experienced first hand what the fuss was about then I picked up ROAM. This was really not my cup of tea. I guess they all can’t appeal to everyone. On that day 5 out of the 7, I order I really liked. So when I received the Reserve Cool for me to try I was very happy to report how fantastic this one truly is. The sample packaging from B&M is really an improvement. I really like the clear plastic almost glass-like tub with a black twist on cap with the same logo printed on it as the original full-size version. The scent is classified as Italian barbershop with notes of bergamot, lemon, and lavender. Barbershop is not what comes to mind when I tried this for the first time but it is a fantastic scent none the less. Here is where it gets interesting the performance. B&M has created a shaving soap line called Reserve it’s a separation of formulas from its classic line or what was called white label. The reserve line as stated by the owner is his “very best work to date” and it shows. Reserve soaps do not contain lanolin and are thus suitable for people with allergies to lanolin-derivatives, but, through their unique chemistry, offer an incredibly soft, moisturized post-shave feel. Reserve soaps are stable in nearly all water conditions and are an excellent choice if you have hard water. The release of the Reserve line shows that B&M cares and listen to its customers with only 5 offerings I would not be surprised to see all of the current offering making it to Reserve at some point in the future. Bowl lathering was no problem it whipped an amazing amount in no time and applying it to the face I noticed a fragrance increase. The lather got right into the beard very thick rich and creamy. I had enough lather left on the brush to do about to more passes if I wanted to. The slickness and glide were tops allowing me to go over trouble spots with ease and no fear of irritations. The post shave feel was wonderful and the Reserve Cool aftershave splash was a great ending to a perfect shave. 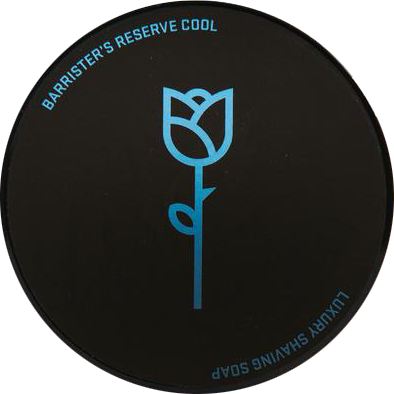 So, I have a wonderful time with Reserve Cool and highly recommend it to any shaver who might be looking for a sensitive skin product that has fantastic performance. If I do have one thing negative its the website. Maybe it's just me but I could not find things like what is the company’s location for the article. I had to go to Facebook in order to find it. Also other bits of information I had to google in order to find it hidden on the website. I didn't find it difficult to shop for a product but to navigate to what I wanted to find about the business. Other than that I have no other issues.